MYTEE LITE III 8020 230V Heated Extractor Value Kit + Chemical Kit + Shipping Included! Note: Shipping costs are included for UPS Ground shipping to the Continental USA. If you want this Mytee Lite ii 8020 230v bundle kit shipped to outside the Continental USA or a quicker shipping service other than UPS Ground, then please contact us 724-325-0008 for information regarding the additional costs. Our Mytee 8020 Value Kit includes the Heated Extractor, Extractor Chemicals and Free ground shipping to continental USA. The extractor chemicals include (1) quart of Automotive Extractor Soap, (1) quart of Mytee System Maintainer and (1) quart of Extractor Defoamer. If you do not wish to purchase this value kit and only want to purchase the Mytee Lite 8020, then please call us at 1 (888) 314-0847 or Click Here for Low Price! 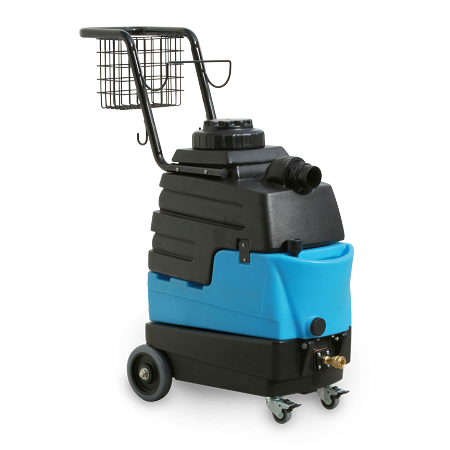 The Mytee Lite II 8020 230V is a perfect heated carpet extractor for mobile auto detailers and small detail shops. Do not let it’s compact size fool you though. The Mytee 8020 extractor is a very powerful unit and will get the job done fast and efficiently. This unit is a 230V unit and should not be sold to operate in the United States. Detail King also offers an array of tools and accessories for the Mytee-Lite™. In addition, Detail King offers the Mytee-Lite™ in various value packages. Please Note: At this time Mytee Products is not including an owners manual with the new Mytee 8020S and are recommending that it be downloaded from their web site. If you are unable to do that we can provide you with a hard copy, just request it when placing your order with Detail King. • Performance – The New Mytee-Lite™ 230V come with a high performance 2-stage vacuum motor featuring 90 CFM and 85" of water lift! This unit also carries a 55 PSI pump, while putting out 1.0 GPM. 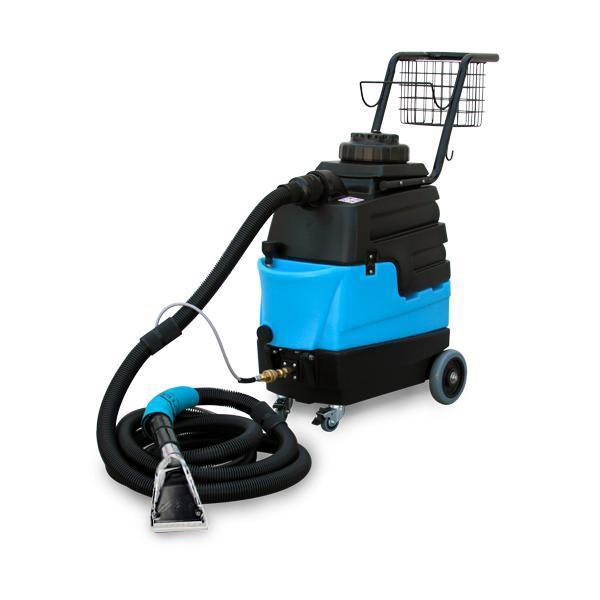 • Convenience – Mytee® also equipped the new Mytee-Lite with a 15' vacuum and internal solution hose combo. Also, a new handle with deeper baskets and a hanger for hoses. Additionally, now have the option to fill your extractor unit with a bucket or faucet fill. Finish your extracting work easily, with the new easy-empty tank drains. • Safety – This unit now has 6” wheels and 2” locking casters in front, for stabilization and to prevent unwanted movement. In addition it now has a 25’ lighted power cord. The lighted power cords indicator plug glows when the cord has power. Finally, this heated extractor now has waterproof switches that add protection against dust and water intrusion. • Convenience and safety – Features include an easy lift-off vacuum tank, clear-view lid, storage basket for cleaning solutions and Mytee’s® optional 3601 System Maintainer™, which reduces pump corrosion and clogging. 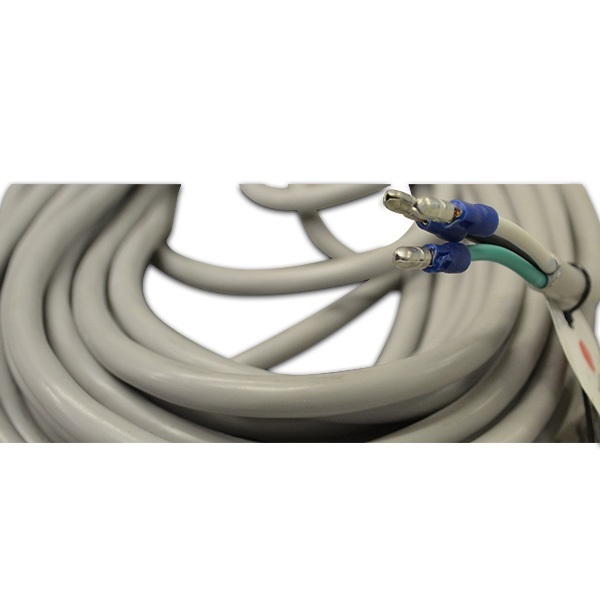 With a built-in cord wrap, the unit’s 25’ power cord will not be a tripping hazard. • Versatility – The optional floor wand allows you to also clean small carpeted areas. • Durability – Built tough with Mytee’s® roto-molded housing. • Transport and storage friendly – Because of its compact size and easy-push handle, the Mytee-Lite™ can be easily transported and stored. • Customer Service – Mytee® always offers a limited lifetime warranty on the body and a one year warranty on the pump, vacuum motor and heating system. In addition, Mytee® has a national network of service centers. • Warranty: Limited lifetime warranty on the body and a one year warranty on the pump, vacuum motor and heating system. • Product Weight: 48 lbs. • Shipping Weight: 63 lbs. 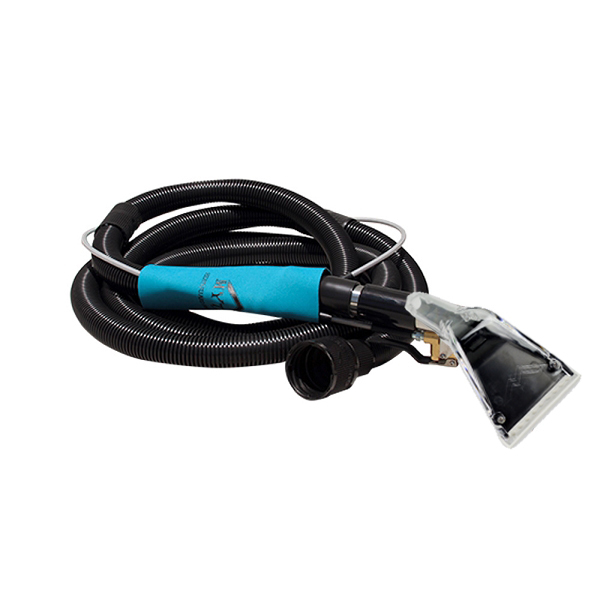 • Product Dimensions: 10" x 18" x 28 1/2"
• Shipping Dimensions : 23 1/4" x 15 1/2" x 36 1/2"
Detail King recommends to any individual who has purchased or is purchasing the Mytee Lite 8020S, to also consider purchasing the optional Mytee Lite Drain Hose. Did you misplace your 2014 8020S Mytee-Lite Manual? Did you misplace your prior to 2014 8020S Mytee-Lite Manual?